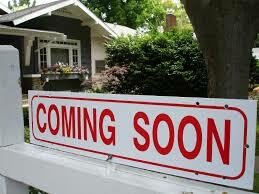 The Kim Barber Group Coming Soon Properties are homes that are NOT yet listed. They are homes that could be a perfect fit for you or someone you know. This is your opportunity as a buyer to have access to homes before they get listed, ahead of the general buying market. Contact us for more information on our PRE-LIST homes and/or to get your home featured in our Coming Soon Properties. Cozily located on a quiet, private street, this Colonial home is a sight to behold! Features a finished basement, attic, 2-car garage, and a double treat of a patio and porch! Location is everything, they say. And this beautiful home has it all! Located in the sought-after area of Reston, one of the best planned communities in northern Virginia.